What did a Hunts. Cyclist look like? These photographs show men that served with the Hunts. Cyclist Battalions. These two men are typical of what a man serving with the Hunts. 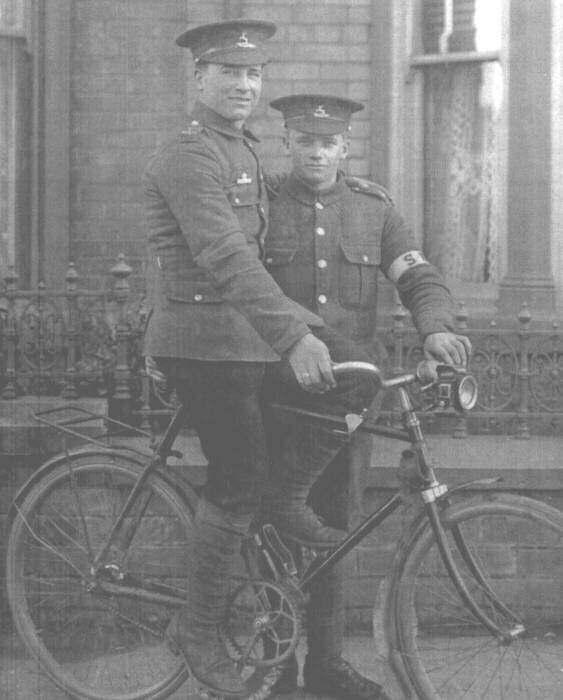 Cyclist Battalions would have looked like in 1915. A group of Hunts. Cyclists at camp before the war in July 1914. The photo was taken at Skegness, on the east coast, where they were in training. Soon after this photo was taken the men of the Battalions were back labouring in their normal jobs, only to find a week later they had been called up to serve on the east coast, but this time they were employed in coast watching for any German invasion that might be forthcoming. 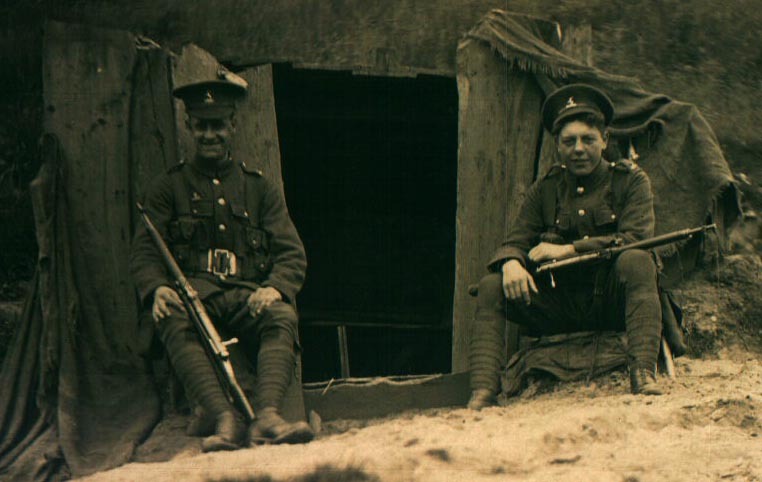 Two men of the 1/1st HCB in a makeshift camp on the beach at the base of the cliffs of Yorkshire. Hunts. 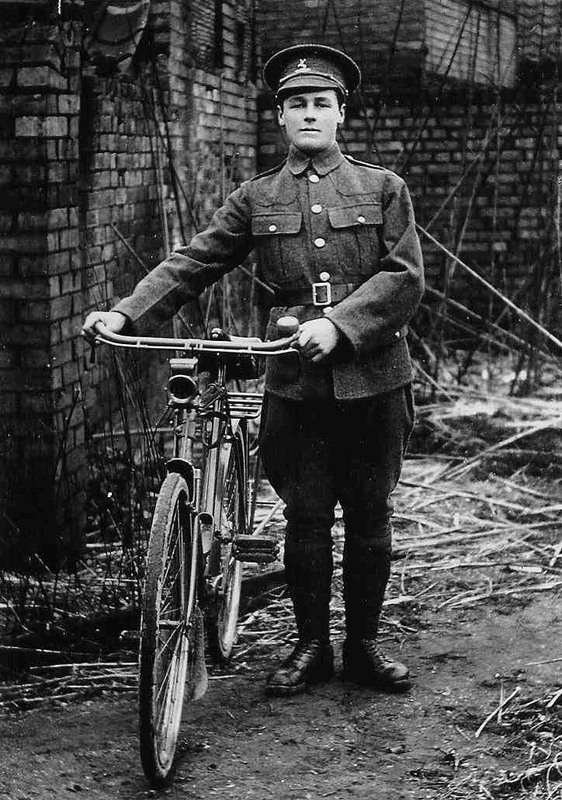 Cyclist in uniform with his bike. This photograph is thought to be John Hales from Wistow in Huntingdonshire. 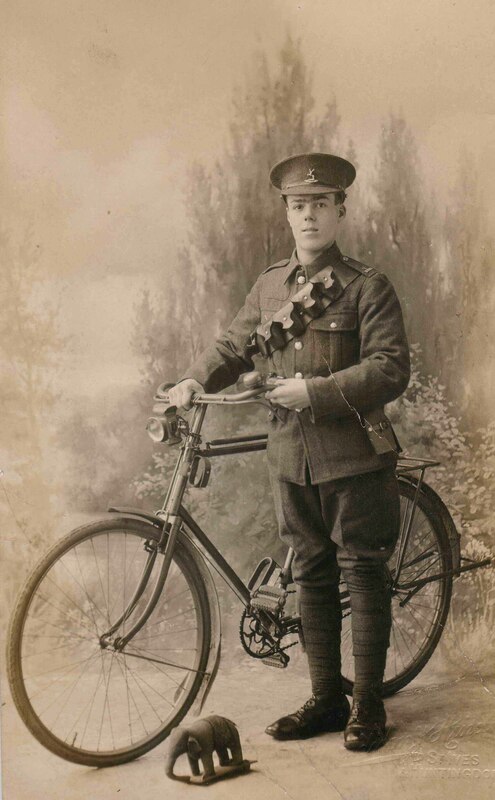 This photo is of a unknown cyclist posing with his standard issue cycle. It can be seen that the cycle has a oil lamp and a gun sling that has been mounted below the cross bar. He also wears the H. C. B. cap badge in his hat. Many thanks to Gerrit Kan who correctly indicated a previous error on this page - and correctly identified that the lamp was an oil one. My Grandfather [Horace Jaikens] had indicated to me that they were all carbide.